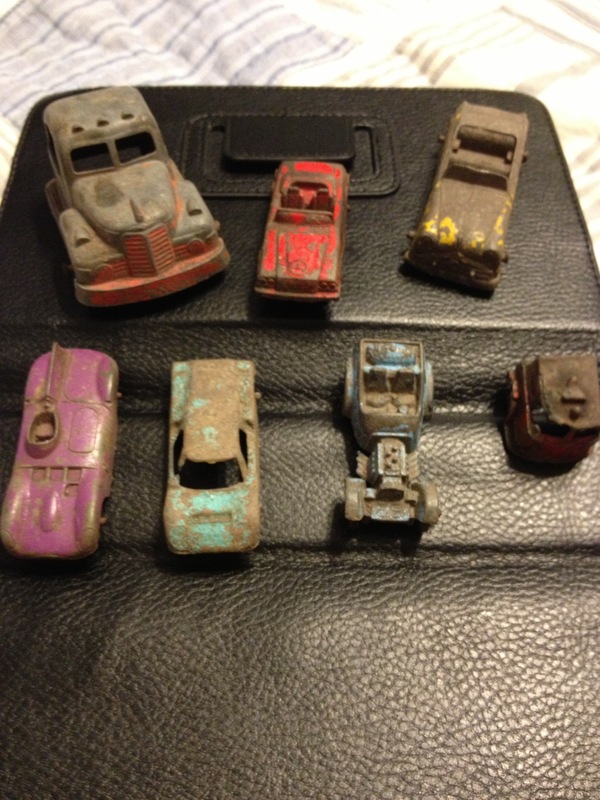 As 2012 comes to a close I was reflecting on my family, hobbies, and friends. I decided a simple video would work well. Enjoy it here! Be safe tonight and hopefully 2013 goes as well or better than 2012! 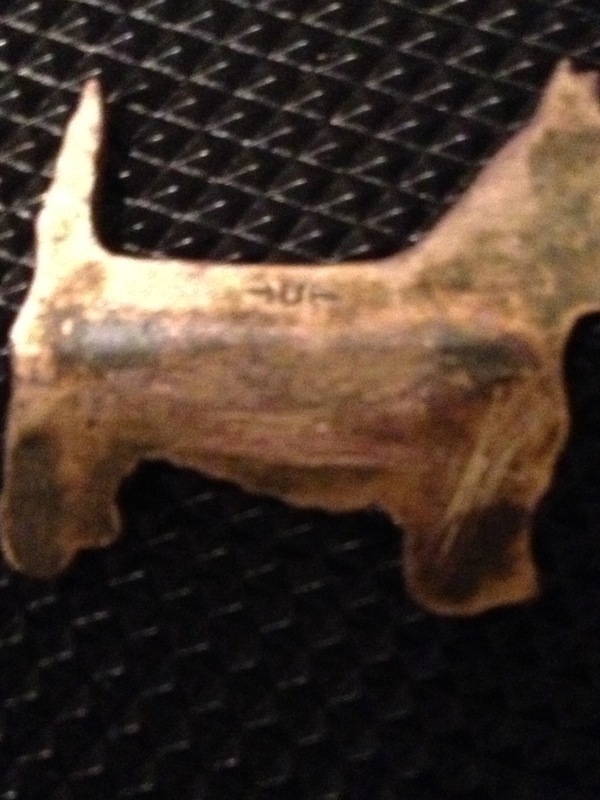 Well this afternoon I received a message from local metal detectorist and forum member JKP. He asked if I could swing by on my way home from work and I agreed. We decided to hunt for a short bit. 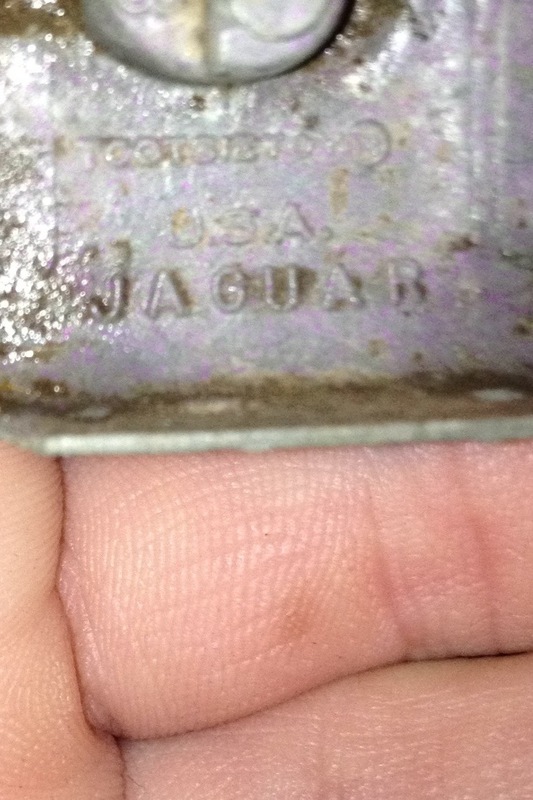 With Pulltab Miner having a good day I was pumped to find some goodies! 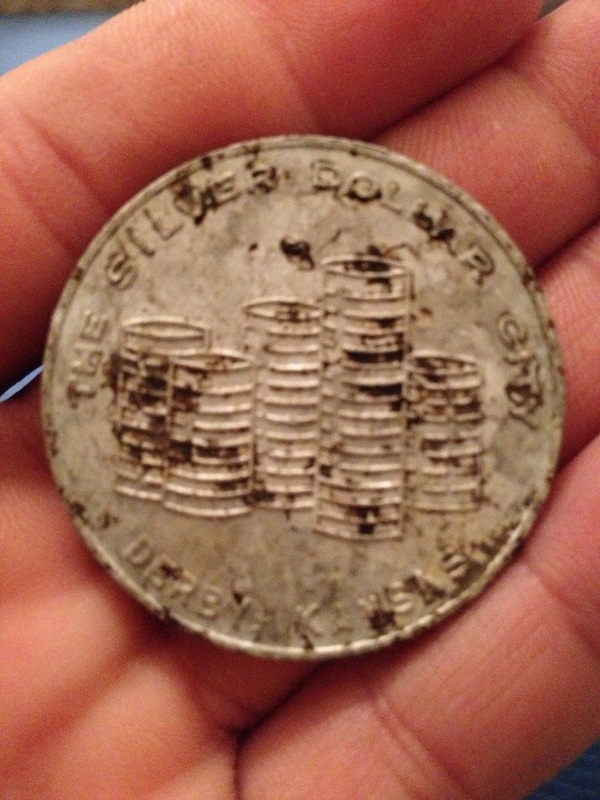 JKP had already found silver at this location so I couldn’t resist a quick swing. Well 3-4 wheaties later I was salivating for silver. JKP and I were discussing detectors as he is wanting to upgrade from the Ace 250 to the ATPro. I professed my love for the Ace 250 and the conversation ended. The very next target showed all signs of silver and I told JKP that if it wasn’t silver I would put the 250 on the market! Guess what.. 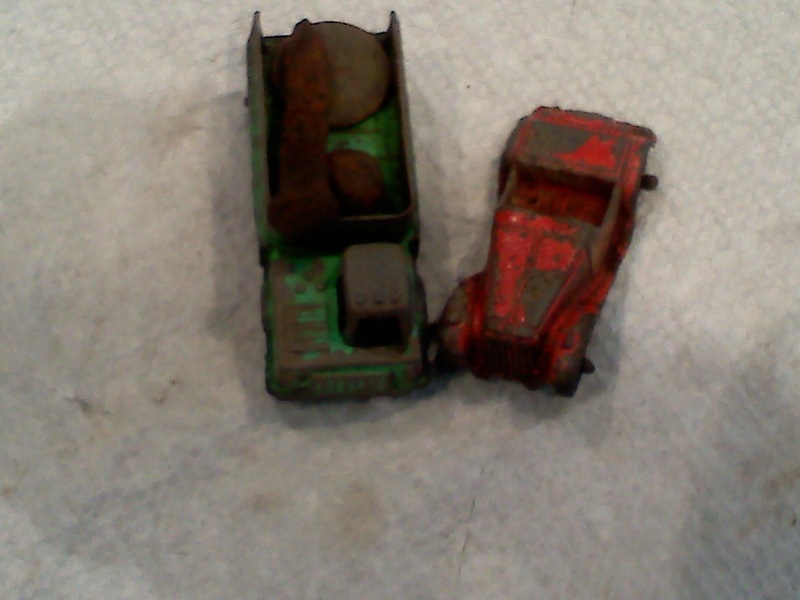 I get to keep the Ace in my possession because a nice looking 58 rosie was staring at me through the soil! About 10 minutes later Queen Ukena called inquiring about my ETA at home. I told her a few more minutes. I told JKP that I had to hit one more good target. 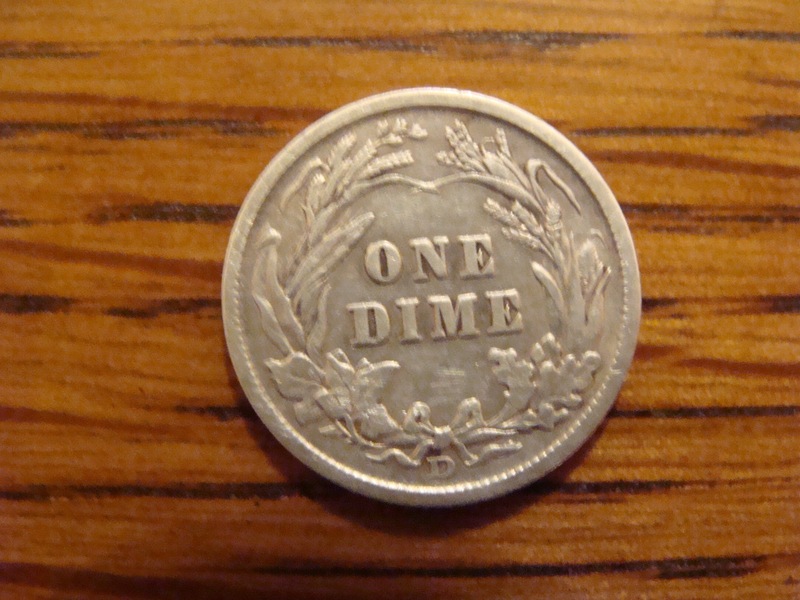 I found my signal quickly and dug a 1907 Barber dime. This coin looks rough. 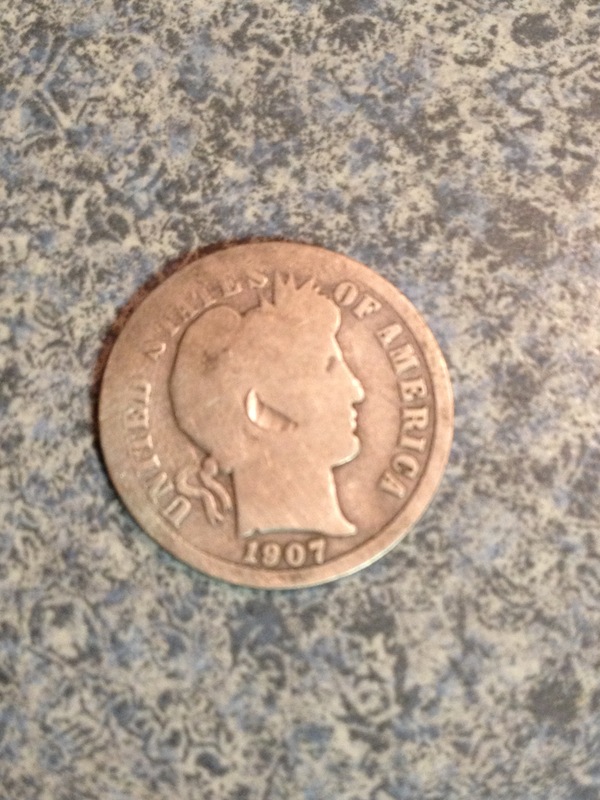 The face is scratched (not by me) and there are no reeds on the edge of the coin. The finals for the evening 7 wheats, 2 silvers, 3 memorials, and 1 clad quarter. Earlier in the day PullTabMiner was saying that he thought 2013 would be good for us. I hope he is right because I like the way we are putting 2012 to bed! Lunch hunt and knowing your limits! Today I had the privilege of getting in a lunch hunt. 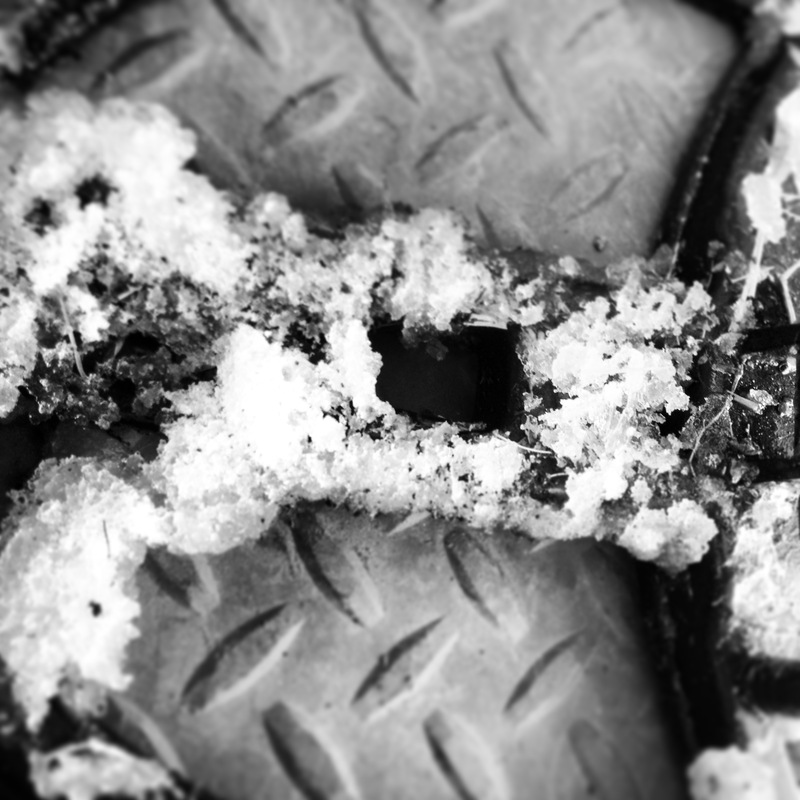 The hunt was blustery and wet due to us getting a dusting of snow last night, 38 degrees, and 30 mph winds. 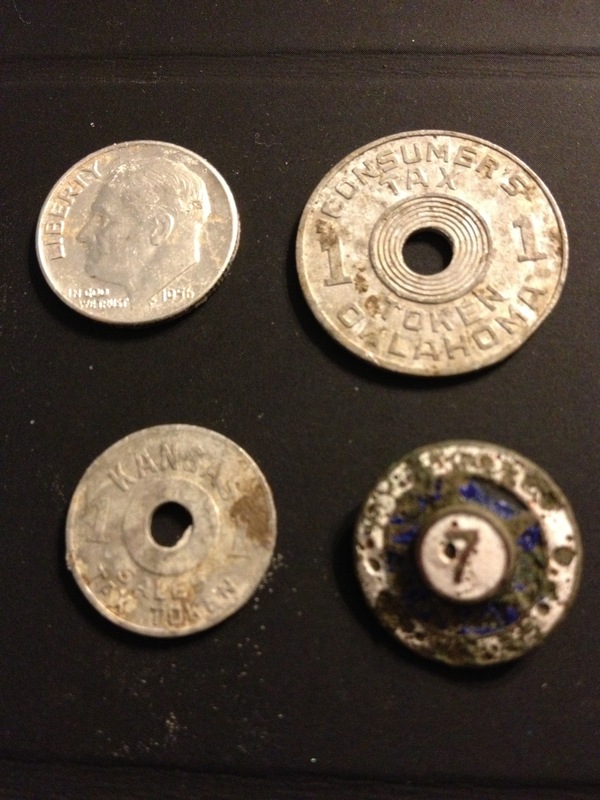 I managed a couple of keepers in the way of a Roosevelt dime and my first War Nickel. During this hunt the guy I was hunting with told me of his newest purchase being an AT Pro with the 8 x 11 DD coil. This is one detector that I have thought about upgrading to. Lately I have really been struggling with the idea of upgrading. I love the little Ace 250. I mentioned a few posts ago that I thought I was pushing the little Aces capabilities but I had never confirmed it… Until tonight! There are several things that have led to this test but my biggest drive was to learn my machine. 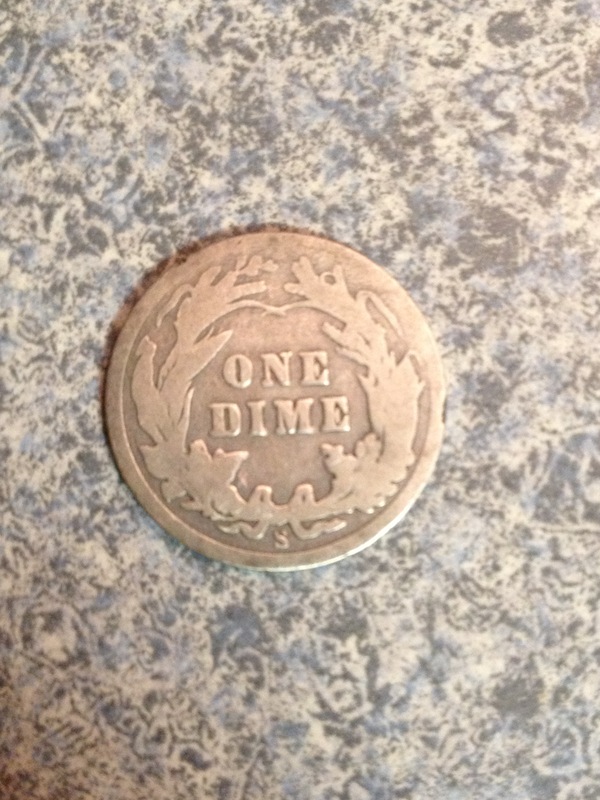 My plan was to dig a hole, place a silver dime into the hole, cover the item, and then see how deep the machine would correctly ID the coin. The first challenge was 5 inches and the large DD coil nailed it. I quickly moved on to the next depth. 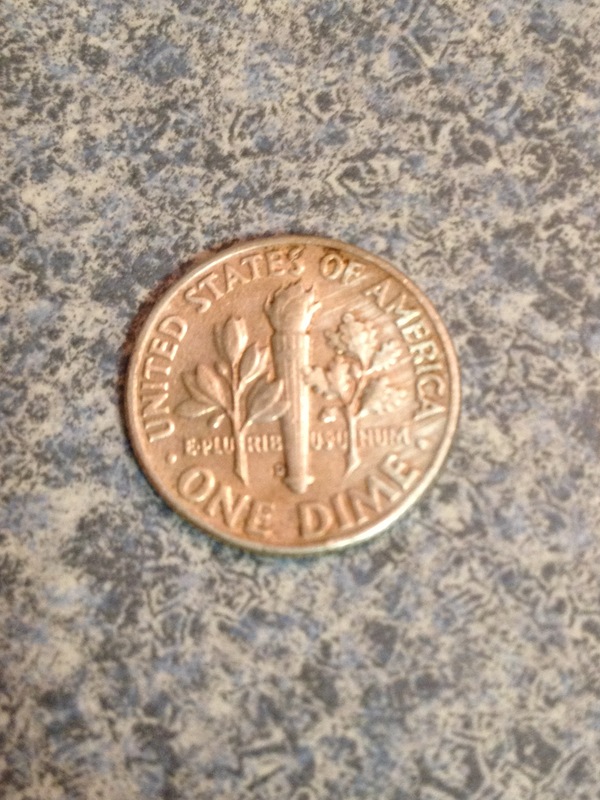 I used a tape measure and confirmed the dime was at 6 inches. The Ace again worked effortlessly. Next depth was 7 inches and my machine sniffed it out easily . Being an optimist I was hoping for 9 inches out of my machine. I proceeded with an 8″ hole and didn’t get a coin signal at all (quickly deflated). I then moved the coin shallower. In the end the final max depth that my machine could clearly ID Mr. Roosevelt was 7 1/2 inches. I couldn’t leave well enough alone there! I started messing with machine setup. The original test was done in All metal mode so I decided to try in my favorite custom mode and the results were the same. I quickly started tightening the machine with more discrimination. To my surprise, it didn’t matter what level of disc I used the results were the same. My observation was that sensitivity made the biggest difference. I had performed all tests at full sensitivity. If I backed the sensitivity off at all the targets sound changed. One notch from max and it got chirpy and two notches below max and the signal was gone. So in conclusion I don’t think the level of disc matters as much as the sensitivity. Run your sensitivity as high as possible. This digging test confirmed something that I have wondered for a short time now. I am probably digging too many signals. In closing I would like to say that I hope to continue these tests soon on other machines with different coils. I think these kinds of tests are important for knowing your machine. 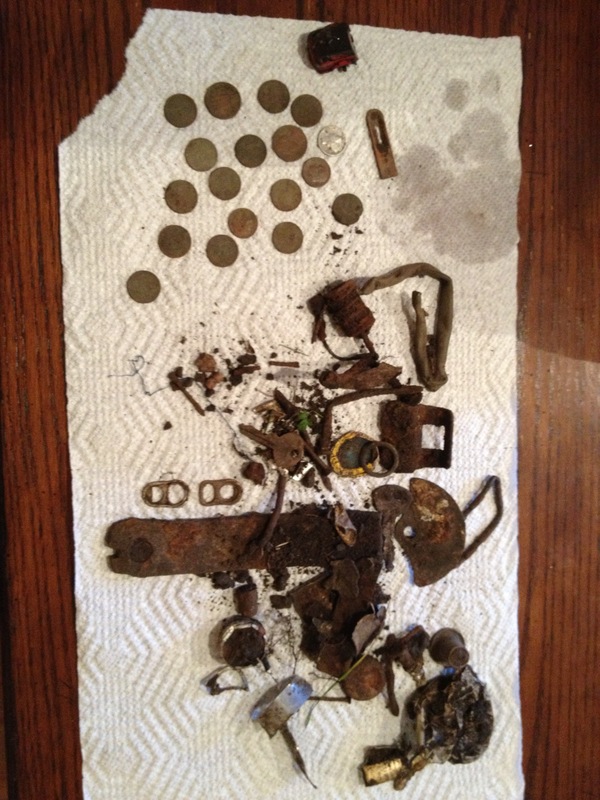 Lately I have introduced a few people into the great hobby of metal detecting. If you haven’t yet, I would encourage you to check out the link section on the right side of my blog. Specifically I think we all can learn a bunch from socializing with other detectorists. Here is a short list of things that happen by getting involved. – Find other detectorists in your area. – Learn more about your machine from others that use them. – You can get involved in local and national groups. – You can talk to many retailers of detectors and accessories. You can usually get a little better price on items if you belong to a forum and are active. – Contests to win detectors, accessories, and many other things. – View other peoples finds. 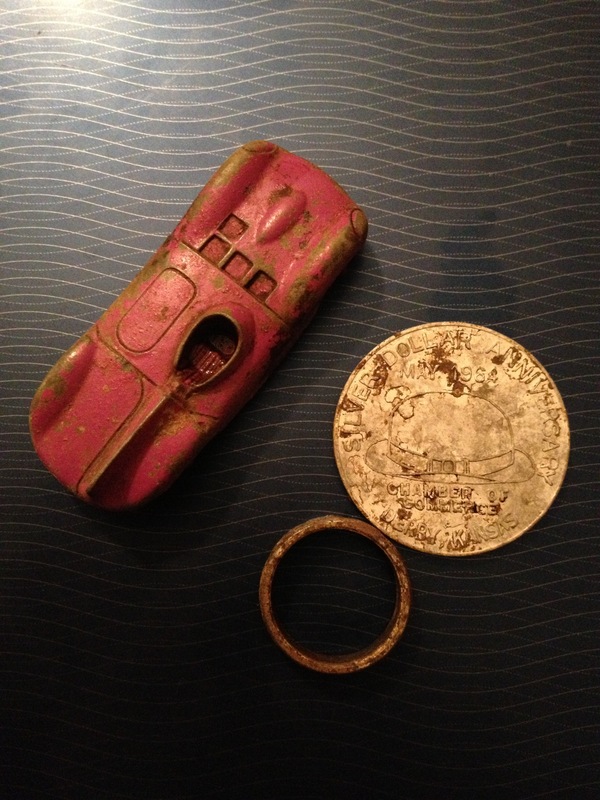 It is always interesting seeing what other detectorists in the nation and around the world are finding. Today I got out to hunt with a buddy of mine who is just getting into the hobby. We started out at an old church that yielded nothing but clad and an old pin that is a two piece pin with the clasp still intact. We then moved to a school yard that has produced wheats and silver in the past. 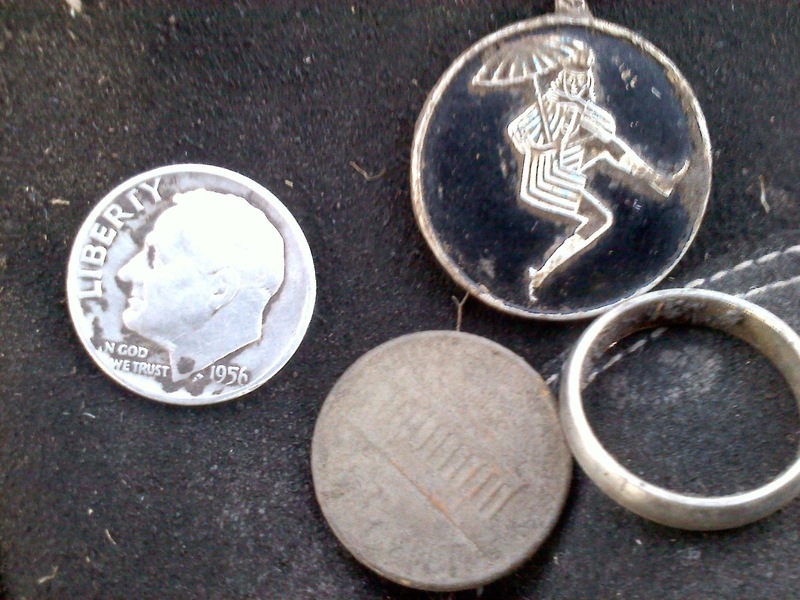 I dug a 1956 Roosevelt dime and a bunch of clad. 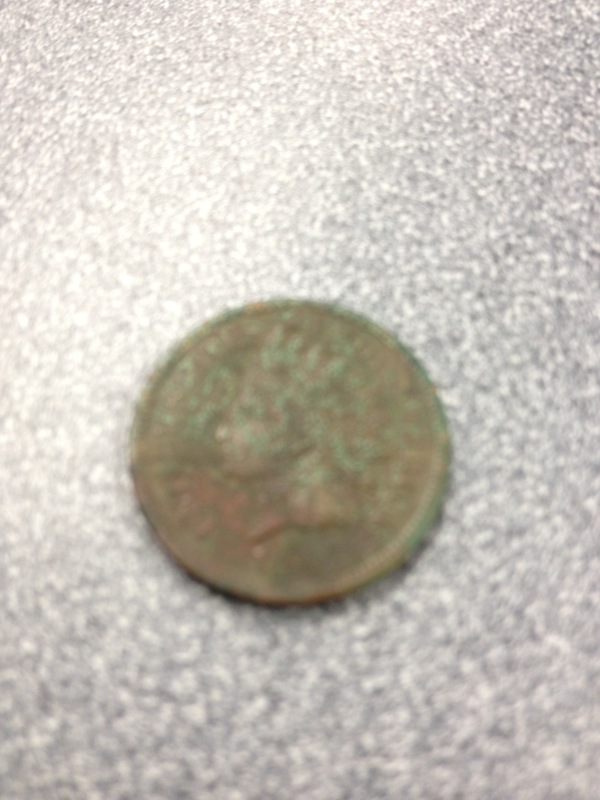 It was exciting because my fellow mder dug his first wheat cent while hunting here. 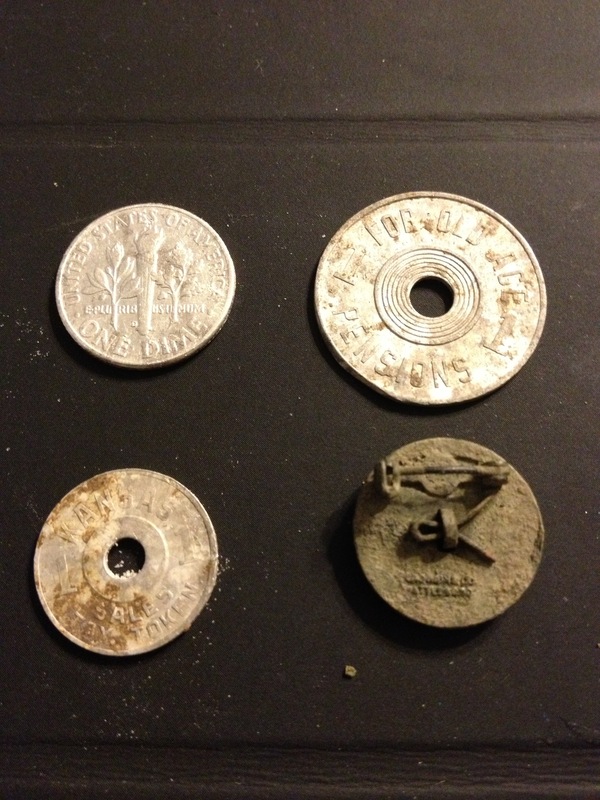 We finished our hunt in a private yard that produced two different tax tokens for me. One from Oklahoma and the other is another Kansas token. 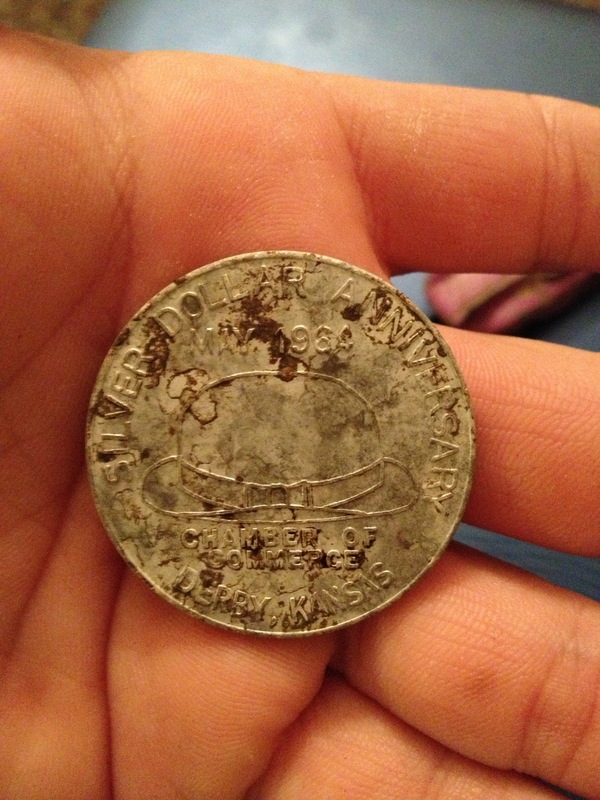 When we were leaving he showed me a coin his Grandfather had gave him. 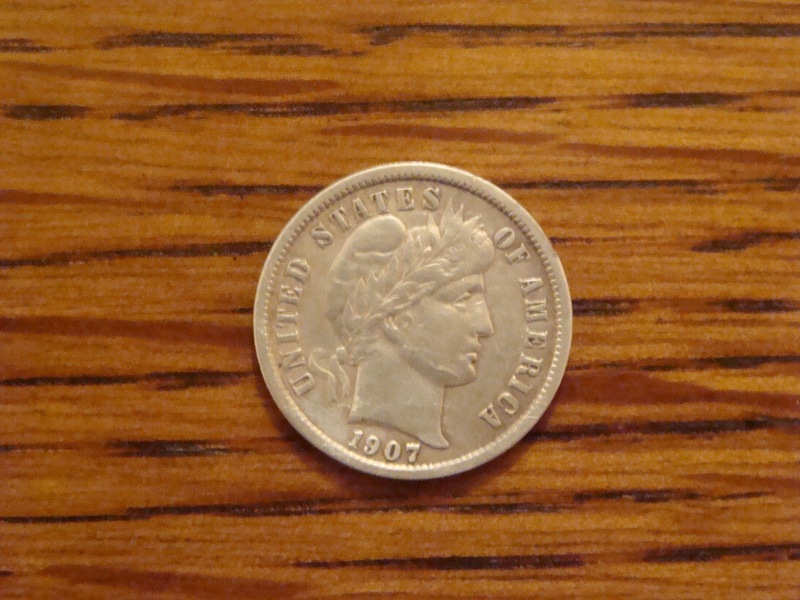 To my surprise I was looking at a Morgan Dollar. I had never actually felt the weight of a silver $1 coin. We discussed how sweet it would be to dig one! Later in the evening I decided to hunt a residence here in town. 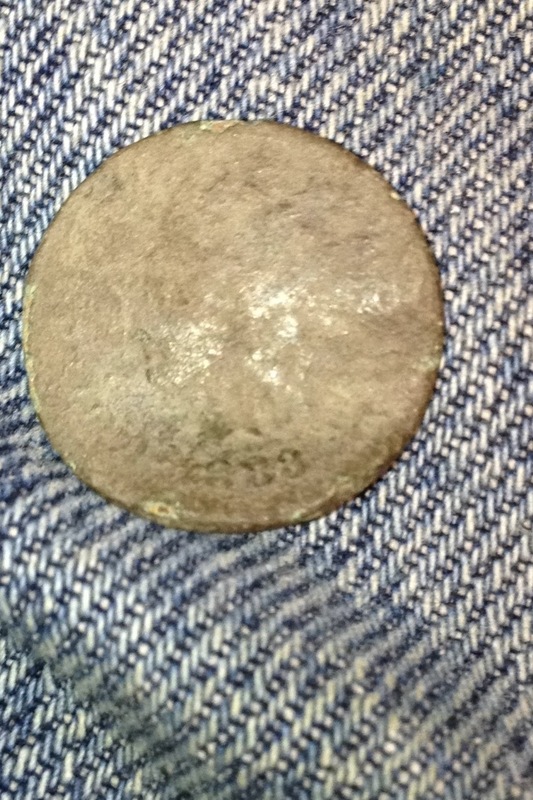 I had dug some clad when I got a really good coin signal 4" down. 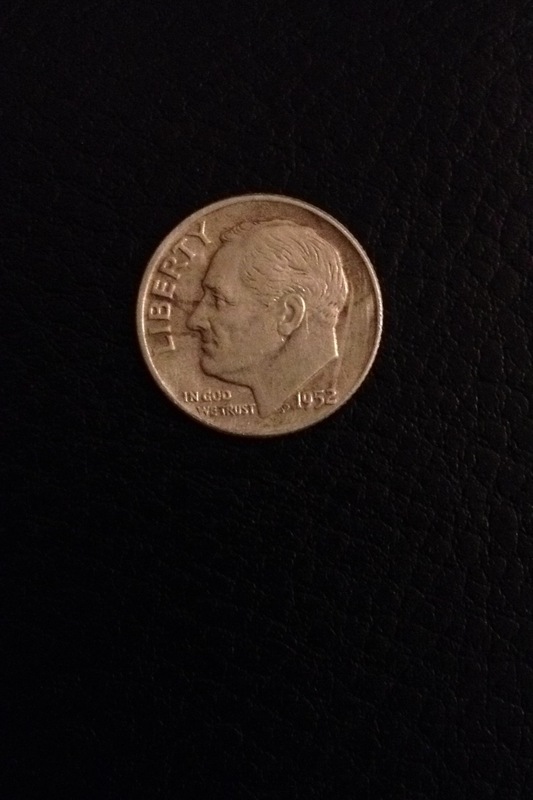 It rang up on the Ace as a $1 coin. 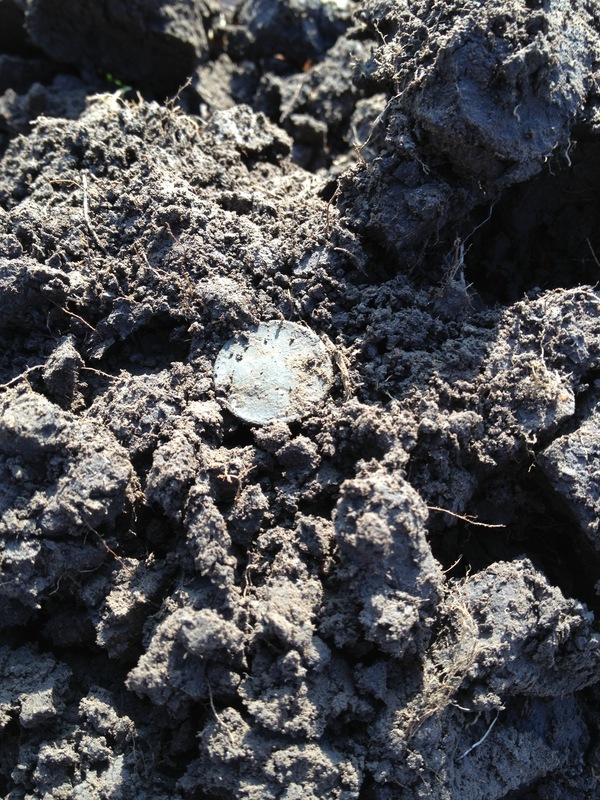 Given the location it wouldn't be out of the question to dig a big half or dollar coin! I about had a freak out moment when I saw it in the dark. 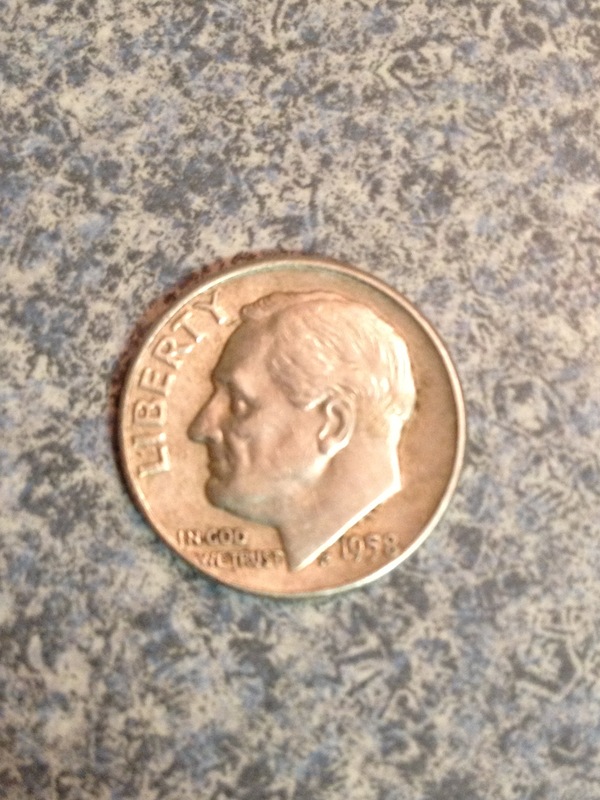 I quickly ran back to the van to see a commemorative token from 1964. 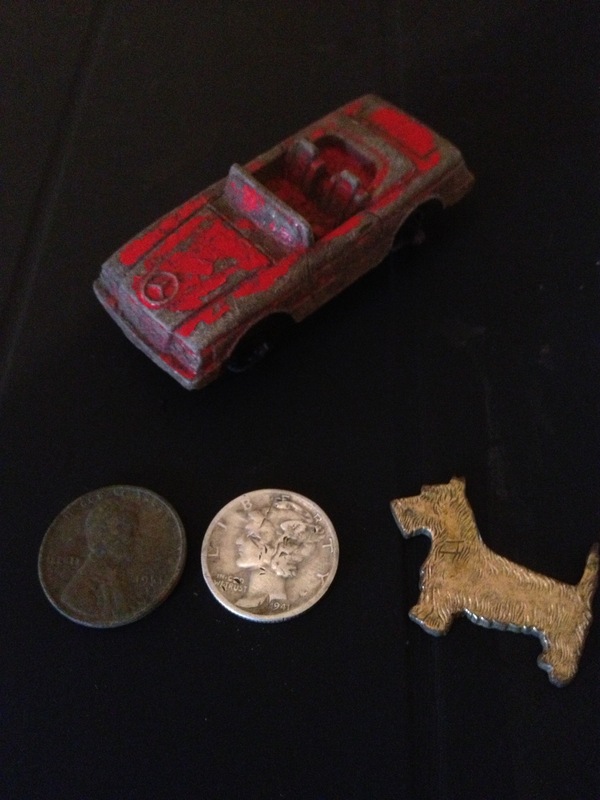 I continued to hunt and dug a 1946 wheat, another Tootsie Toy, and a fake ring! Well, tonight I am writing about one of my favorite digs, Tootsie Toys! I have totally fallen for these relics of the past. It amazes me that I have found as many of them as I have. 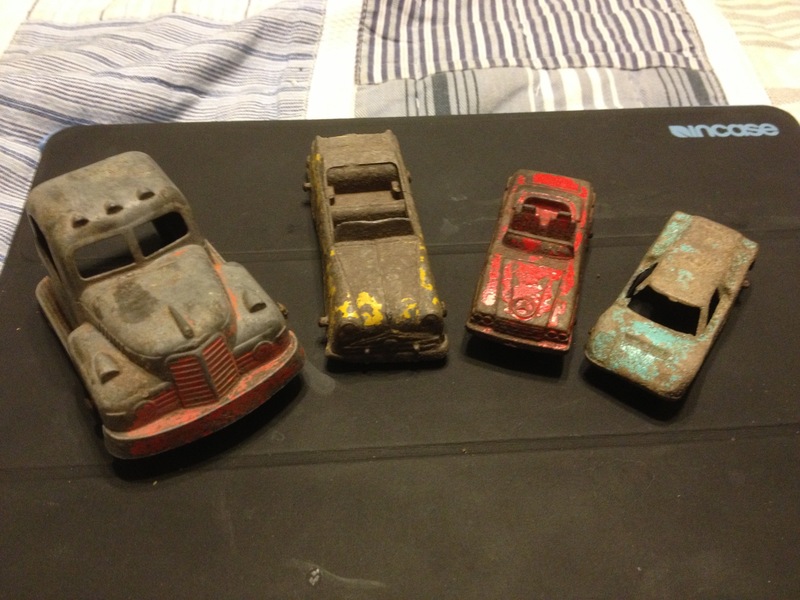 Every time I dig one my mind goes back to why it got left outside. Did they leak oil on the carpet? Maybe the kid who was playing with it got called in for dinner thinking he would be back afterwards. My guess is Mom or Dad ruined that plan by saying baths and bed. I would love to see others Tootsie Toys! I managed to get out and hunt this morning before work. 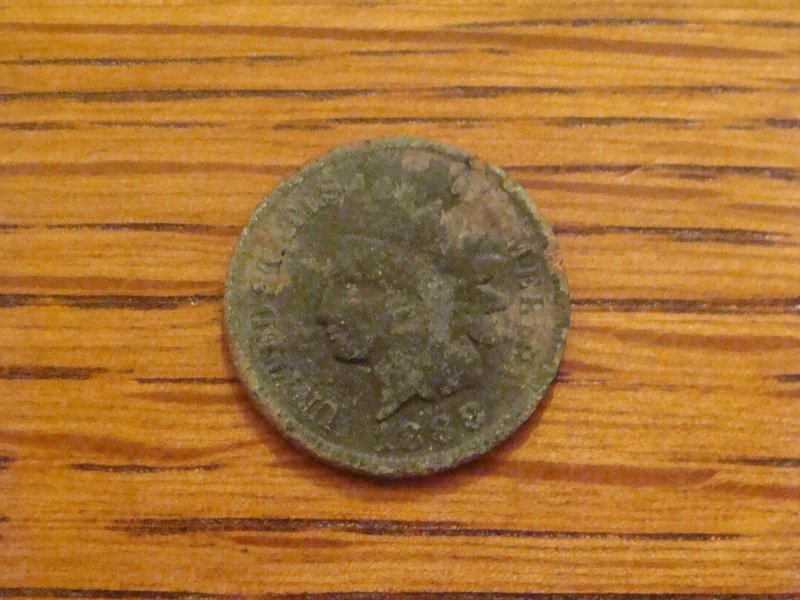 My short hunt produced a 1907 Indian Head and a 1916 wheat penny in the same hole! The picture of the Indian shows discoloration where the wheat was stuck to it! 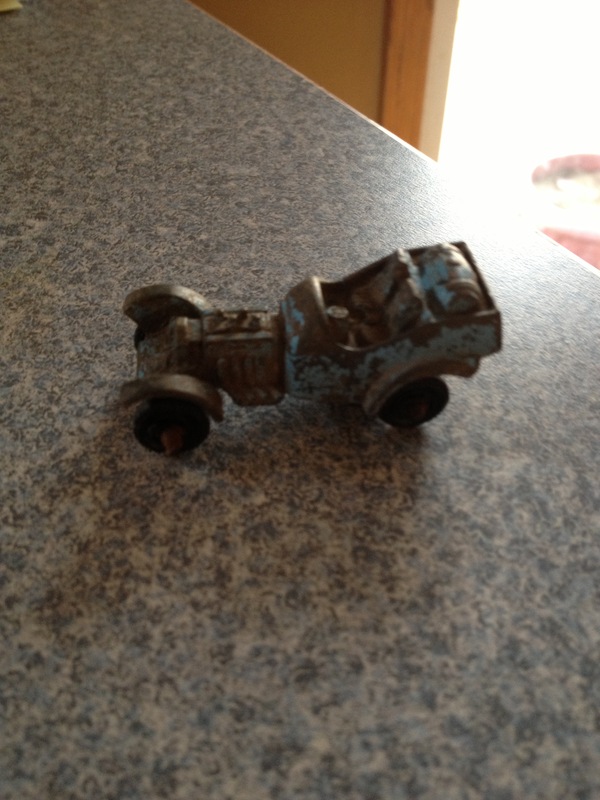 I knew they were old when I saw the fine green patina! The second hunt was at a home built in 1920. It is a very small yard with lots of Iron. 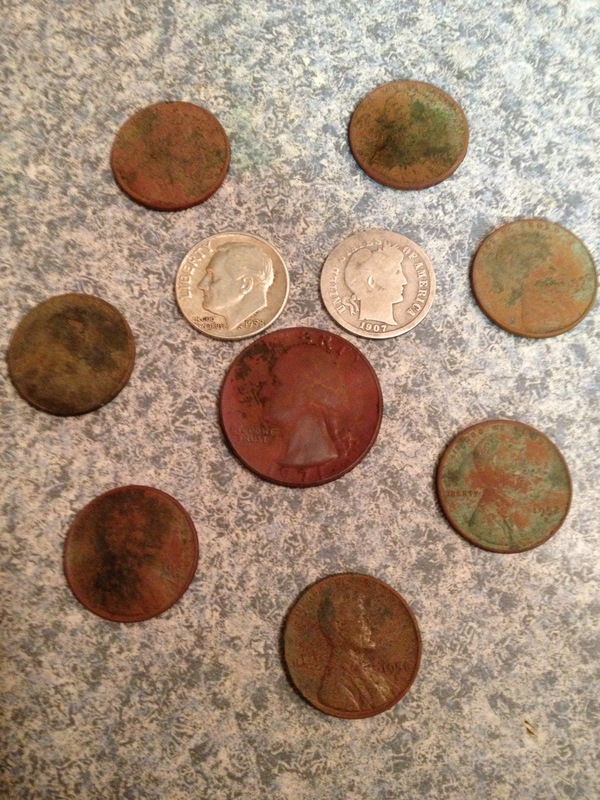 I had dug 15-20 coins out of the front yard including a wheat from 1951 that was at about 6 inches. It was after filling this hole that I realized maybe the good coins were deeper than I thought. After digging the wheat I moved about three feet and got a sweet belltone at 8+ on the Ace. Once I pinpointed it it went to solid signal at 6 inches. I dug down and pulled a big 8″ plug up. I waved the Ace over the plug and the belltone was loud and clear, as I went to pull the plug apart I saw the reeded edge of a coin. It was about an inch from the bottom of the plug. This would have the coin at 7 inches. 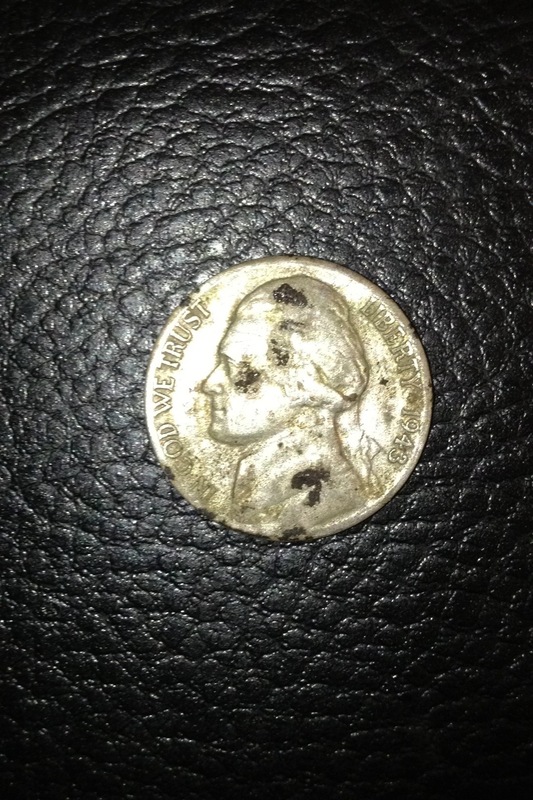 I pulled it out to find a fine lady liberty staring back at me on a 1941 liberty dime. Overall I have a few observations to make about this weekends hunts. 1- I can’t imagine I will ever use a coil other than a DD. In iron infested sites the difference in target separation is necessary in my mind. 2- I am starting to be a firm believer in gridding an area. Over the last 2-3 months I have found keepers in places that I have hunted at least twice before. I am certain this is due to the removal of trash and clad. On Saturdays hunt the guy with the best finds focused his attention to a much smaller area than the rest of the group. Now when I ask permission to hunt a private residence if I feel it has potential to produce I ask if I can make multiple trips. So far it has payed off. 3- I am sad to say that I think I am reaching the limitations of the Ace 250. I would love to see how well a mid or high end machine would do in these yards when being swung by a detectorist who has learned their machine and knows how to use it. Please don’t think I am taking anything away from the Ace by this comment. 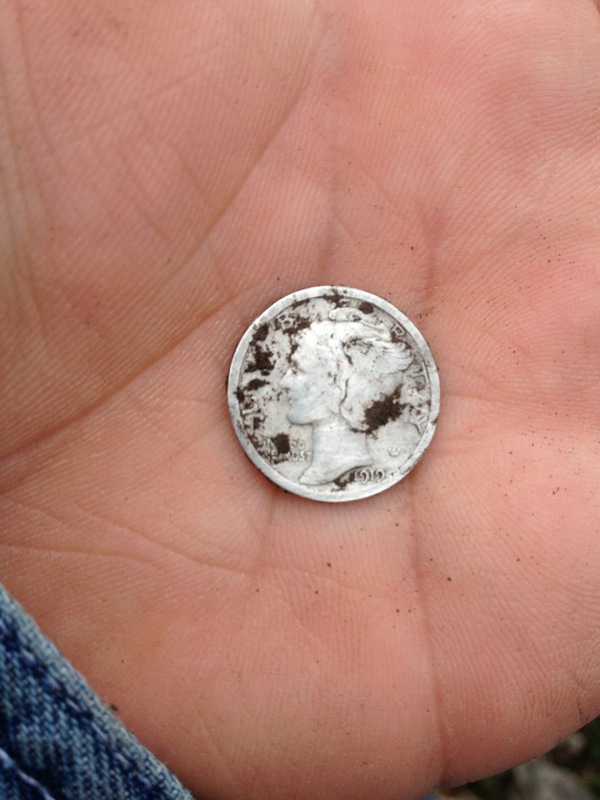 I am still amazed that in dry conditions a $200 detector can find a silver dime at 6-7 inches, maybe deeper after a rain or in non-trashy areas. 4- I will definitely be hitting both of these sites again once we get some moisture. Heck if we don’t get rain I may offer to water and mow their yards for a couple of weeks. I think I would be the one benefiting!